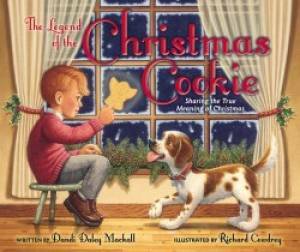 Written by Dandi Daley Mackall, the Legend of the Christmas Cookie: Sharing the True Meaning of Christmas is an endearing story of a young boy named Jack who is greatly missing his father. With Jack’s father gone to look for work and the family struggling financially during what I assume to be the Depression, Jack’s mother takes the time to share the true meaning of Christmas and to illustrate the gift of a giving heart. In turn, Jack is given the opportunity to share what little he has with the less fortunate. Geared towards young readers from age 4 through 8, this book recounts the legend of Christmas cookies that were originally made in the Old Country of Southern Austria, Germany and Switzerland. Baked with the images of hand carved springerle molds or intricately designed rolling pins, these cookies were often made in the shapes of baby Jesus, Mary, Joseph, the shepherd, the angel and the star to illustrate the story of the most precious gift of all, baby Jesus. The delightful illustrations of Richard Cowdrey give the reader a peek into a simpler, but equally memorable, time in the quiet of winter. Two cookie recipes are included at the end of the book, and I’m sure children will enjoy the opportunity of making the story connection while baking Christmas cookies of their very own. 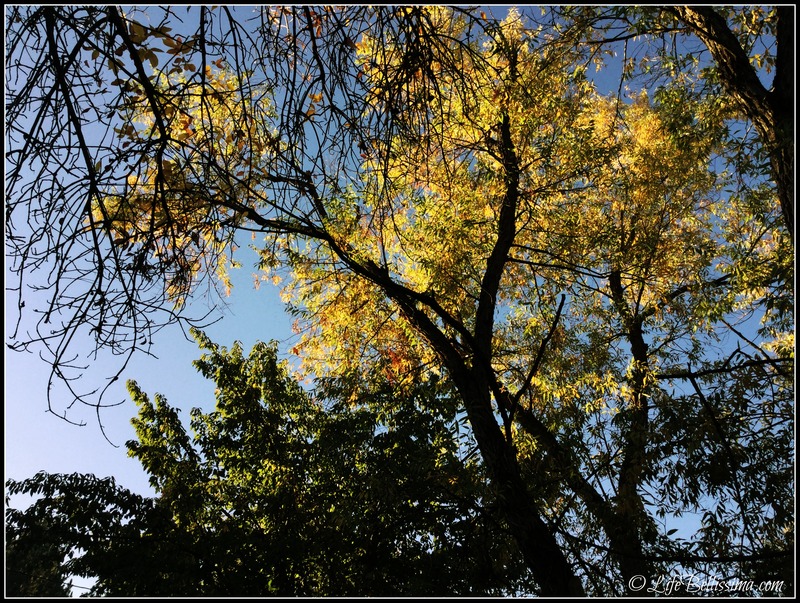 I love the warmth and serenity of a sun-kissed autumn morning. Although it’s impossible to capture the complete grandeur of God’s creation, I believe these photos show a glimpse of His beauty. Another favorite of mine is homemade soups, and there are so many that can be easily put together for a healthy, delicious lunch or dinner! 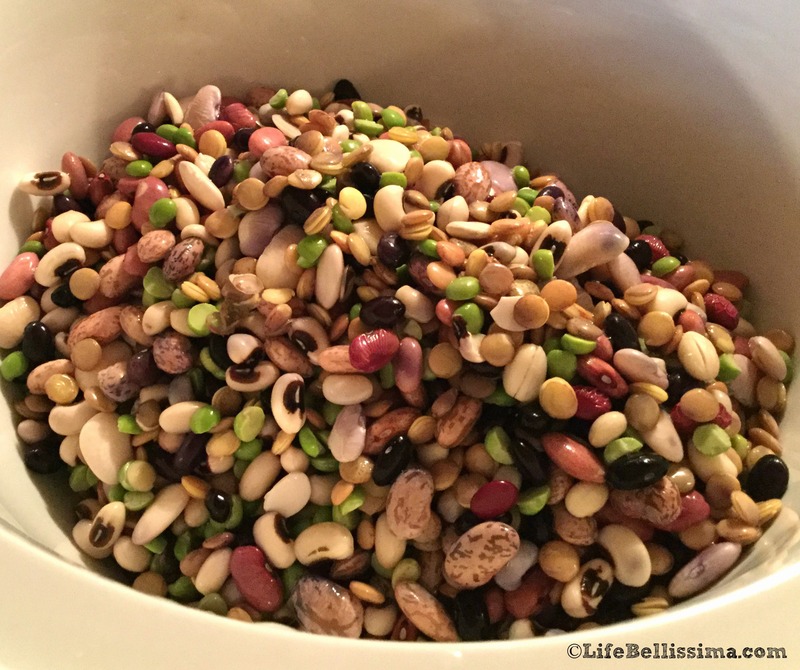 The first time I used dried beans for soup was from a recipe (not sure where it originated) that we used at a homeschool co-op — I loved the flavors from such a wide variety of beans and continued to use this as my base. 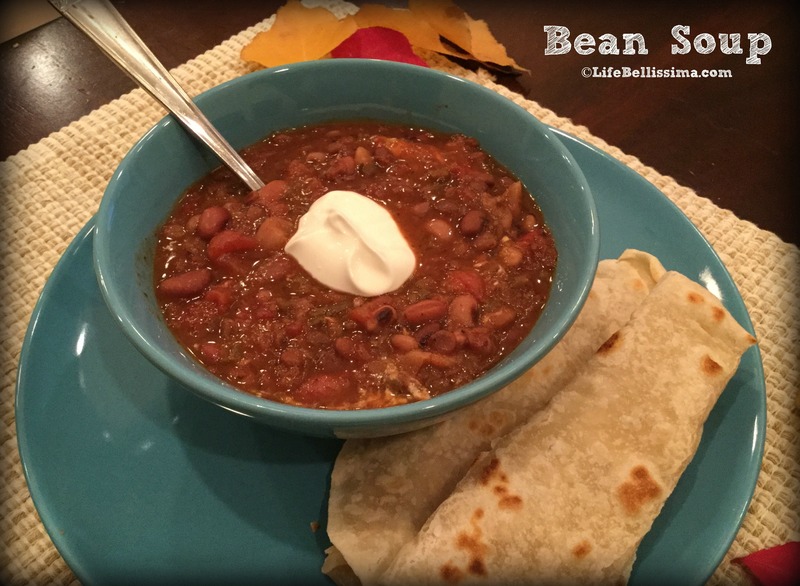 From crisp autumn afternoons to cold winter evenings, this bean soup is flavorful, satisfying and pairs wonderfully with Elizabeth’s Homemade Flour Tortillas! I prefer to soak my beans in water overnight and get the slow cooker going early in the morning. In slow cooker, cook on high for approximately 8 hours or until desired tenderness and consistency is reached. Garnish with sour cream and/or freshly-grated cheese, if desired. 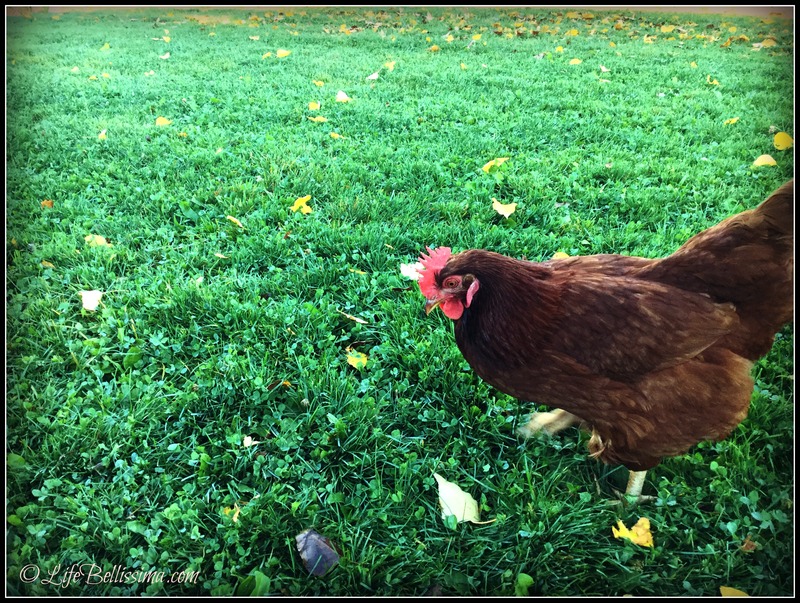 With the arrival of October, we had been looking forward to visiting The Farmstead, and last week turned out to be an ideal time to visit! 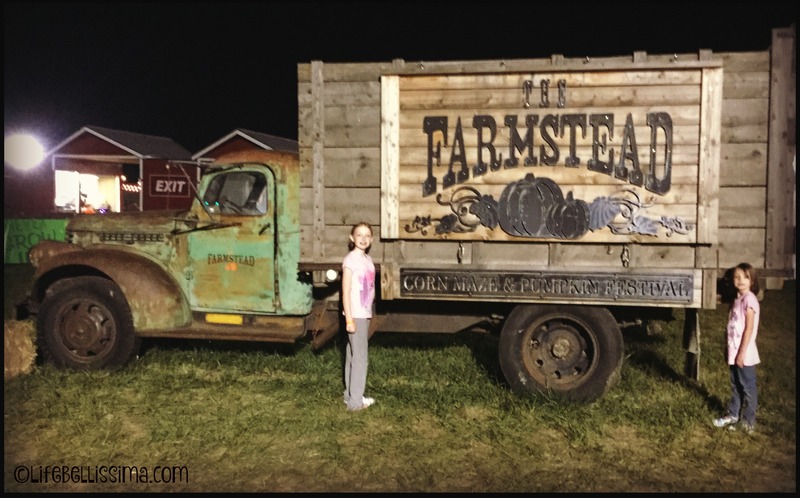 The Farmstead is well-known in our area for its themed corn mazes. 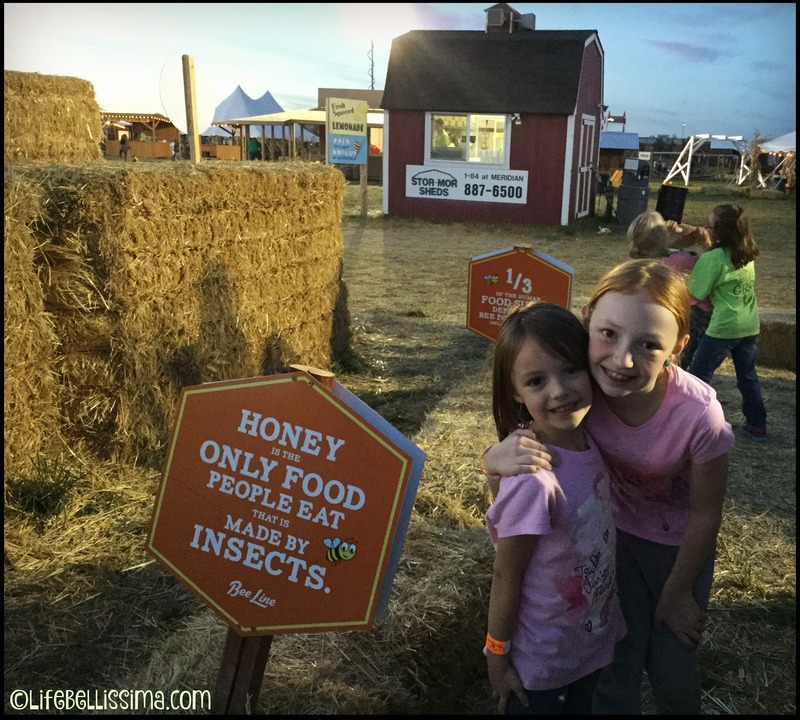 games, activities, pumpkin patch and oh-so-yummy goodies! Summer has been taking its sweet time letting autumn make an entrance, which has been pretty wonderful in my opinion! Don’t get me wrong, I dearly love autumn — all the gorgeous colors, the cooler weather, baking while the rain drizzles down, but with outdoor activities that included a corn maze, pony rides, a grain train that takes you for a very scenic ride throughout a very large pumpkin patch and a potato sack slide, I welcomed the 70° temperatures, sunshine and vibrant blue skies with open arms! 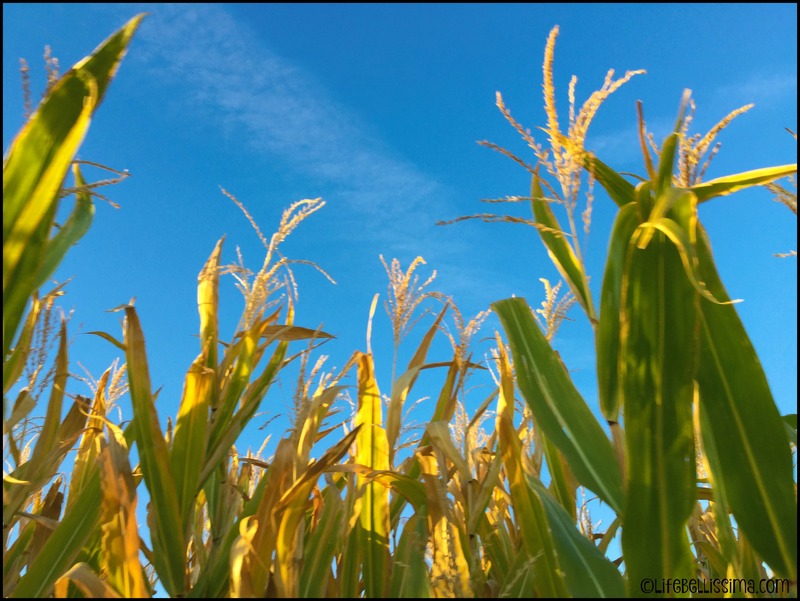 It was kind of a summery-autumn blend of weather perfection! 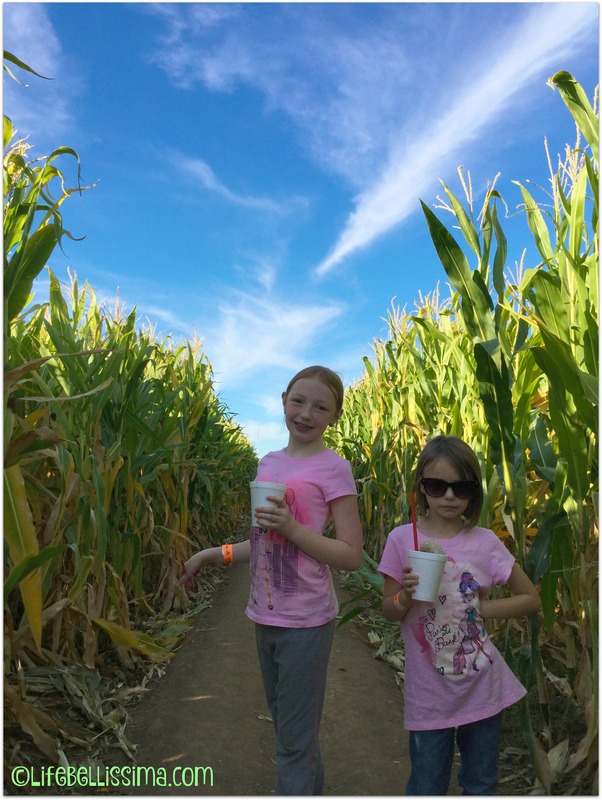 We spent a relaxing afternoon enjoying everything The Farmstead had to offer, and what is especially impressive is the intricately-detailed corn mazes that they design each year! This years theme was Peter Pan and Tinkerbell, and let me say that even though maps are readily available, I’m so thankful my husband was there to take over the map and lead us! I’m pretty sure I would have had us lost even with a map in my hand, but it was all great fun! I believe the photo above was taken somewhere inside Peter Pan’s shoe? It was a little hard to tell, and after a while, I couldn’t help myself with all the corny puns. My family knew they would be coming sooner or later! 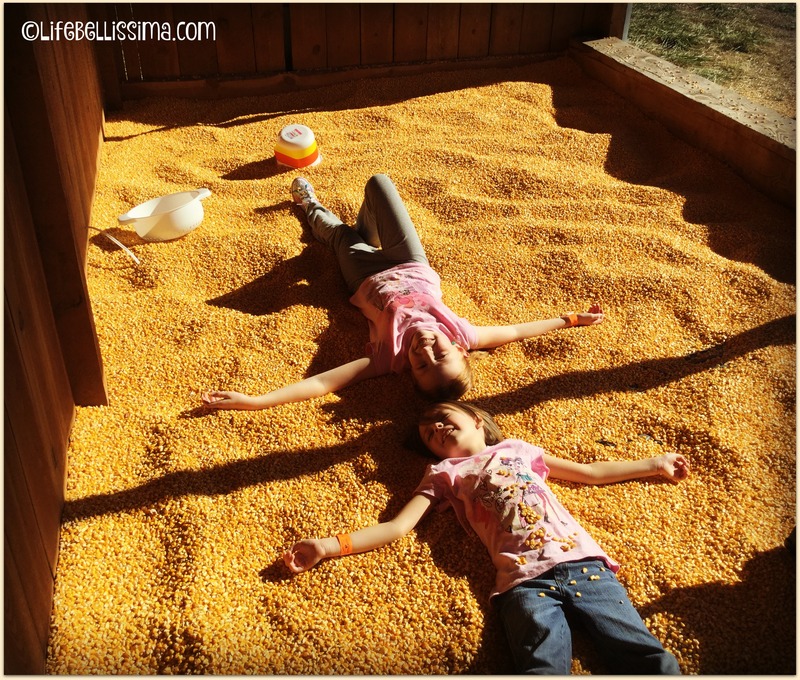 After the maze, we headed back to even more attractions that included the Bee-line (zip line), the potato sack slide, and the girls making “snow angels” in one of many corn boxes! 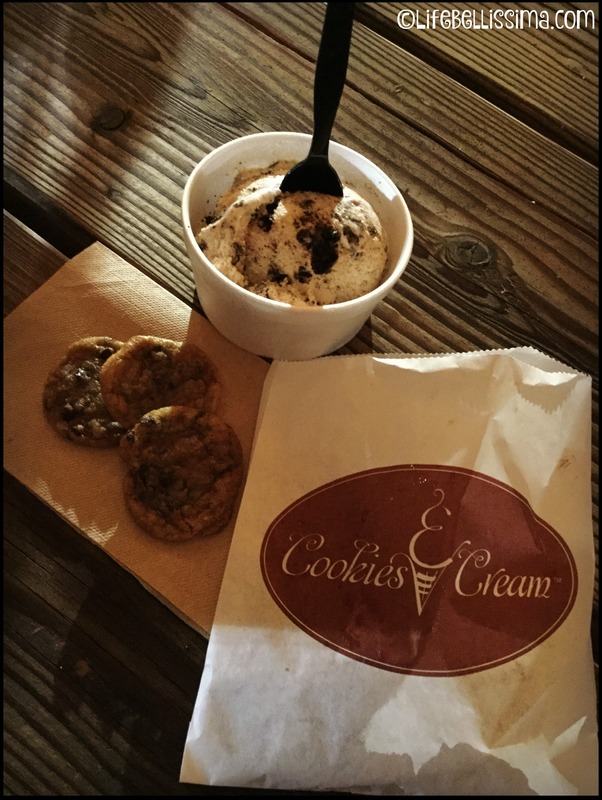 Our fun-filled afternoon was topped off with Brookie’s Cookies and ice-cream from the Cookie Creamery. So delicious, and did I mention the cookies are baked right there and served fresh out of the oven?! Already looking forward to next year at the Farmstead! 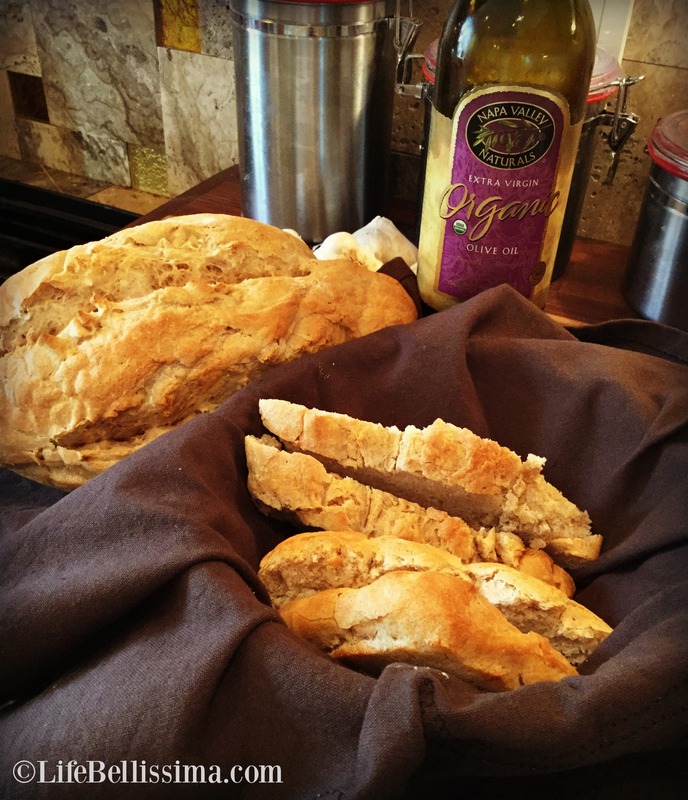 One of the most wonderful aromas to ever come out of a kitchen has to be freshly baked bread! I have such wonderful memories of my Dad being in the kitchen, kneading fresh dough and baking loaves for our family to enjoy! My Dad’s freshly-baked bread rarely lasted through the evening, as we would keep grazing into the kitchen and slicing yet another piece. Although I was too young to remember, my Dad often recalled how he was letting a loaf cool on the kitchen table when he turned around to find that our golden retriever puppy had devoured every last crumb! Ever since I can remember, I have had a deep love for baking. Cookies, cakes, brownies (to name a few). However, I was always intimidated by baking bread. Something about the proper combination of the water temperature working with the yeast always concerned me. After we decided to go organic, it became very important to me to learn to bake and cook from scratch as much as I possibly could. Believe me, I still depend on organic bread from the grocery store quite often! I’ve tried baking some basic loaves of bread over the last few years, and I am truly enjoying the learning process. 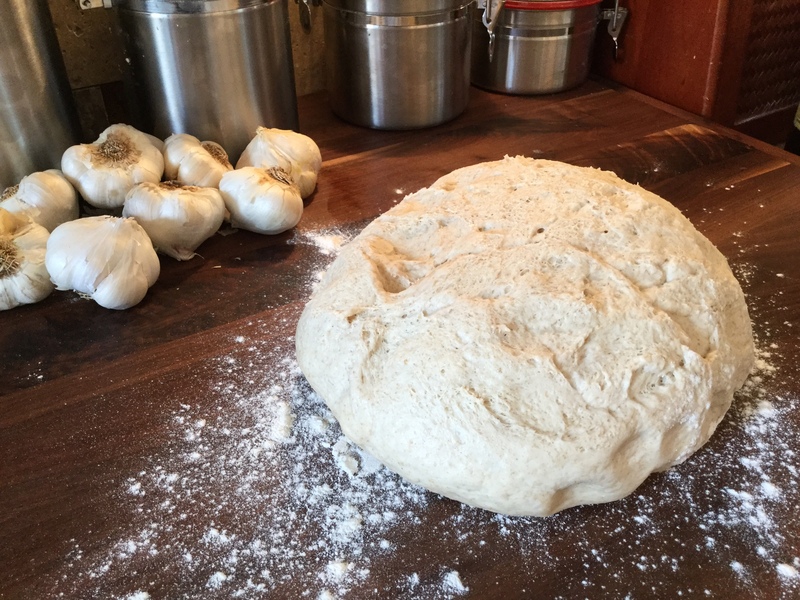 It’s a beautiful sight to peek into a bowl of rising dough and actually see that it is working! When I walk into bakeries and see such beautiful loaves of artisan breads, it makes me even more excited to try new bread recipes! Recently, I’ve been wanting to try sourdough, brioche and croissants. I love looking at all of the beautiful breads on Pinterest, and last week I made my first sourdough starter from GracefulLittleHoneyBee.com. Today was a big day! 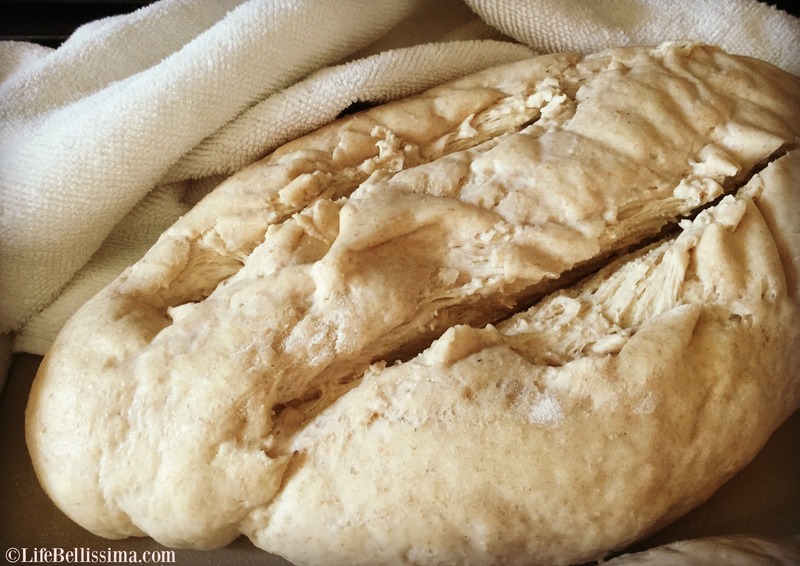 The sourdough starter looked and smelled ready — right on schedule according to the recipe! So this morning I found a Rustic Sourdough recipe from King Arthur Flour and was quite pleased with the results! I found the bread to be soft on the inside with a nice crunchy crust on the outside. 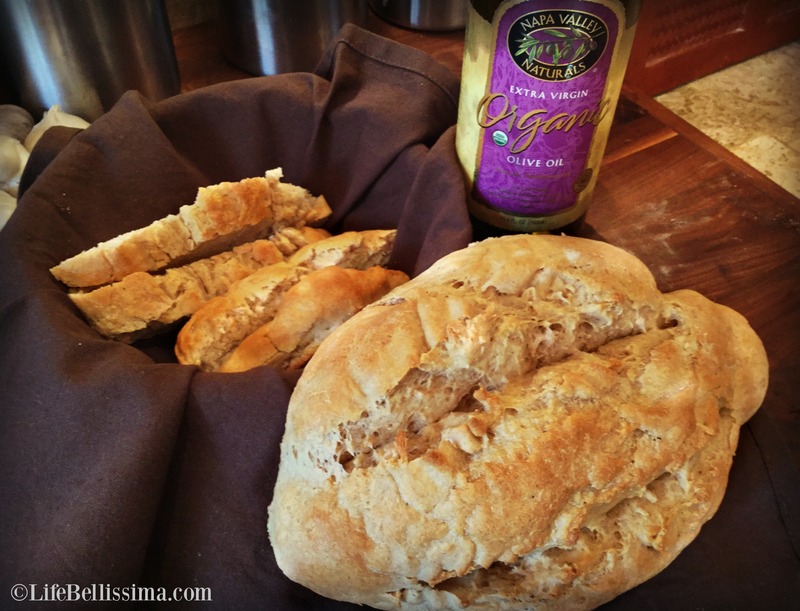 The bread went very well with olive oil and Italian herbs! In addition to rich hues of red, yellow and orange, a mouth-watering variety of apple and pumpkin desserts and family gatherings at Thanksgiving, autumn also brings a wealth of family birthdays for us to celebrate! 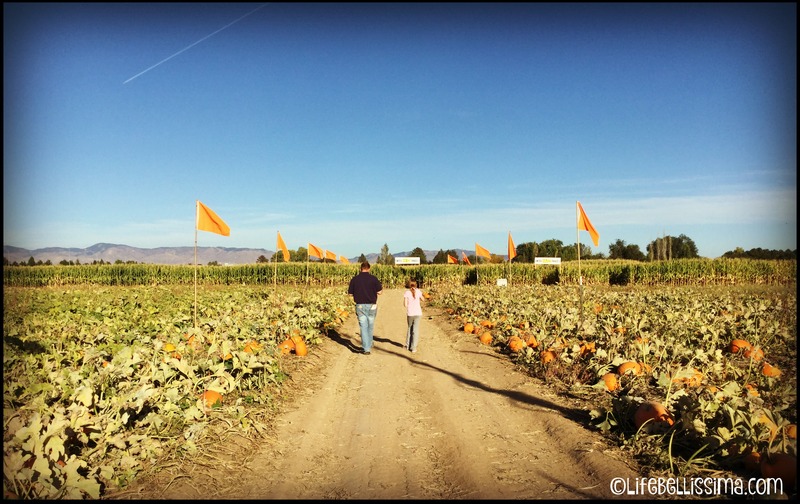 Both of our daughters are autumn babies, and our family loves to plan themed parties! 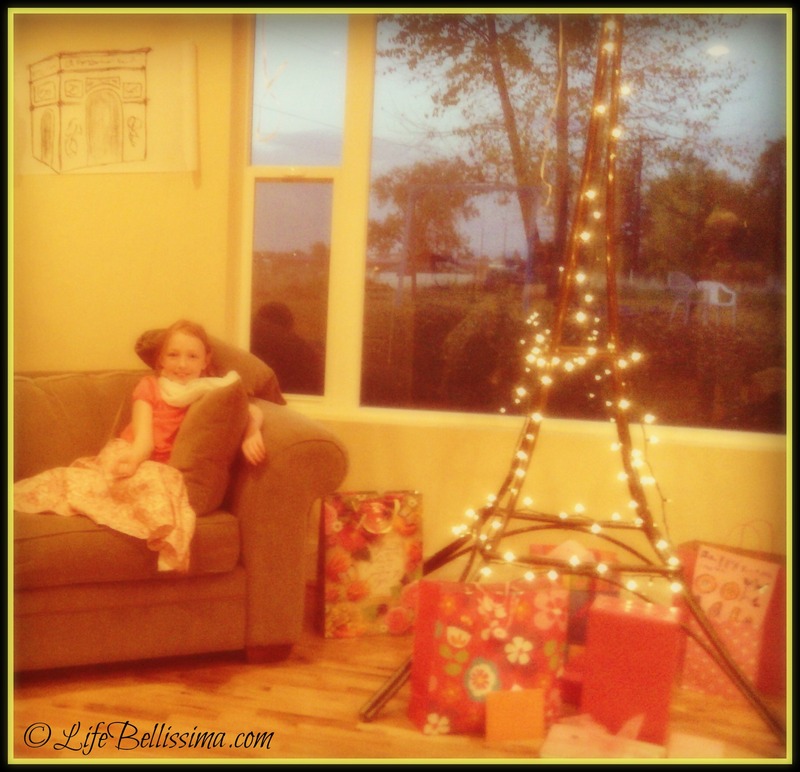 Last year, our eldest daughter requested a Paris-themed birthday, and it was a huge success! She had also requested a lemon cake with lemon frosting, and this is the recipe she liked the most. I hope you will enjoy it as well! 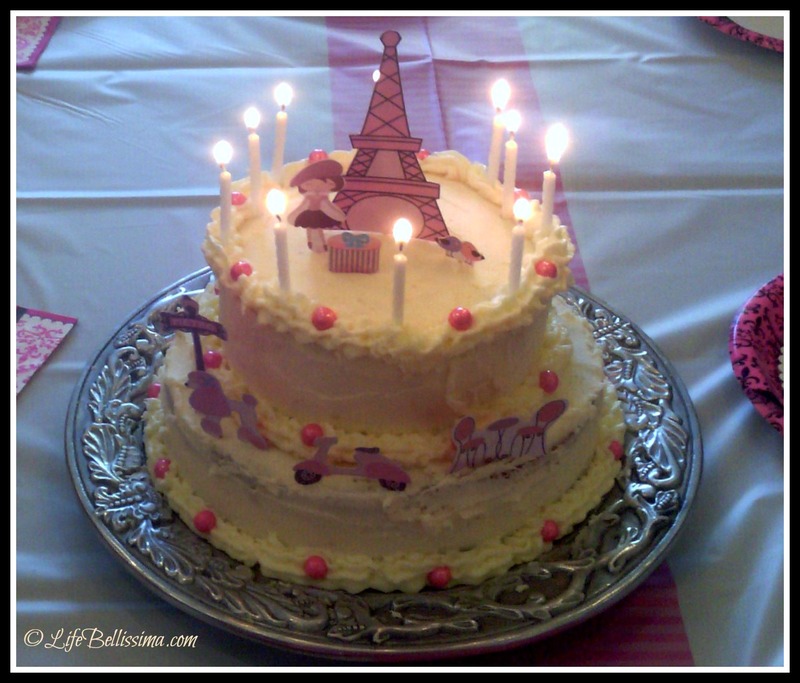 Although I made this as a tiered cake for her birthday, I am posting directions for a 13″x9″ cake. For the tier cake, I basically doubled the recipe and ended up with some tasty leftovers! -With a stand mixer or hand mixer, cream butter and coconut oil. -Gradually blend in sugar, vanilla and egg whites. -On medium-high, blend well for 2-3 minutes. -On low, alternate flour mixture and vanilla almond milk until batter is smooth. Do not over-mix. -Slowly blend in lemon juice. Pour into prepared pan and bake for approximately 25-29 minutes or until toothpick inserted into the middle comes out clean. -Cream butter and palm fruit oil until smooth. -Alternate adding vanilla almond milk and powdered sugar until smooth. -Gently blend in vanilla, lemon juice and lemon zest until well blended. 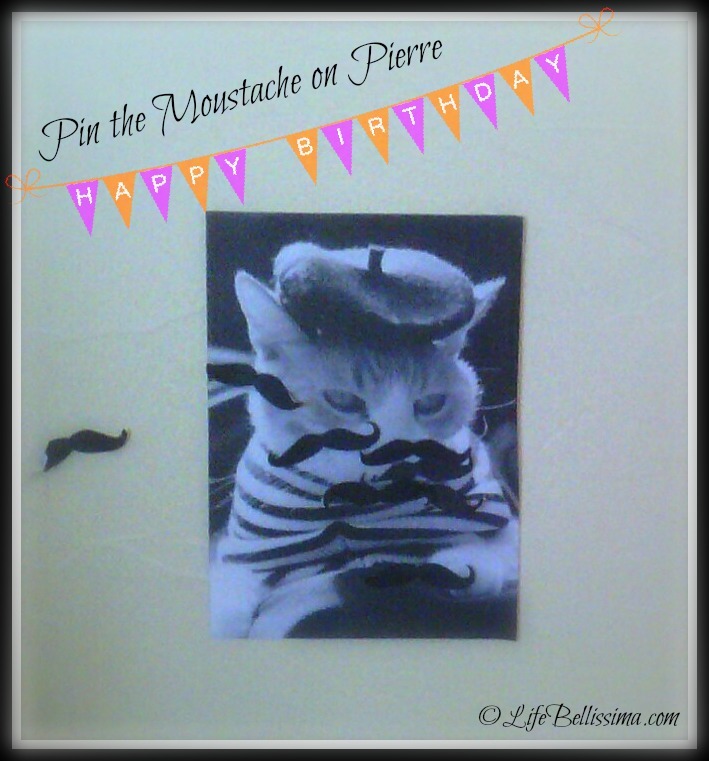 While baking, enjoy a few photos from the party! Time to sing and blow out the candles! My daughters and I greatly enjoy watching the Pioneer Woman. For starters, her recipes are fabulous, and there’s something soothing about watching her cook from her family’s ranch while her adorable dogs, Charlie and Walter, meander throughout the kitchen. 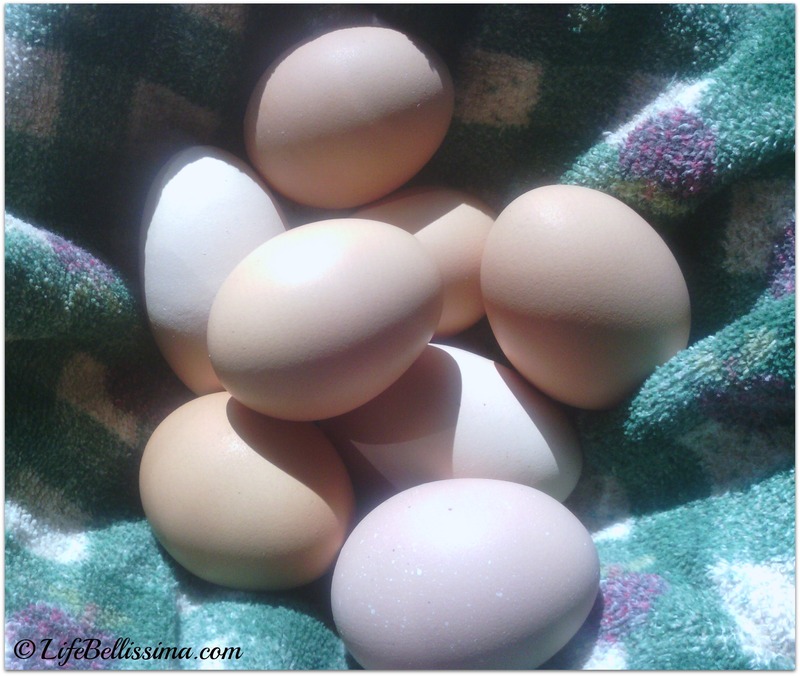 On a busy day, I love finding recipes that are equally delicious and easy to put together! Ree Drummond has many of these winning combinations, and one of my family’s favorites is her Baked French Toast. It. is. amazing. This recipe comes together in minutes, and the aroma and flavors that come from this dish are absolutely wonderful! 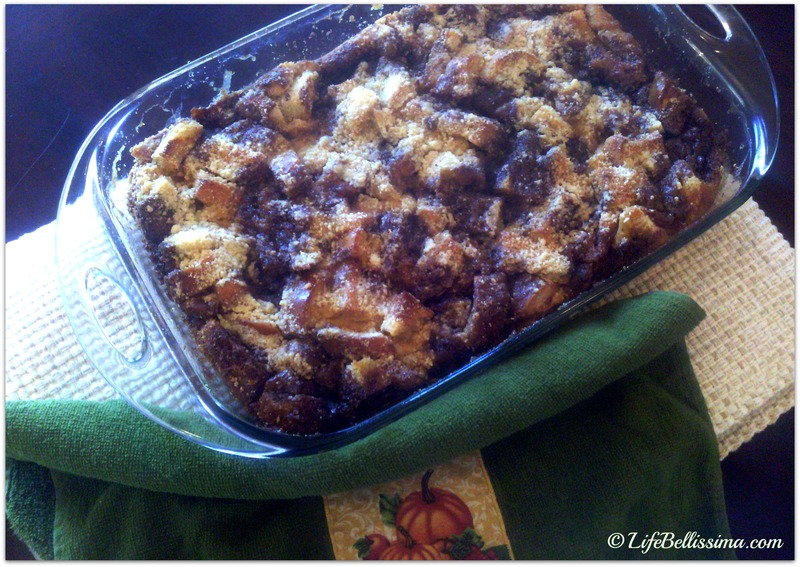 I also need to mention that this recipe can be made the day before and baked the next day! (directions on the Pioneer Woman’s website). 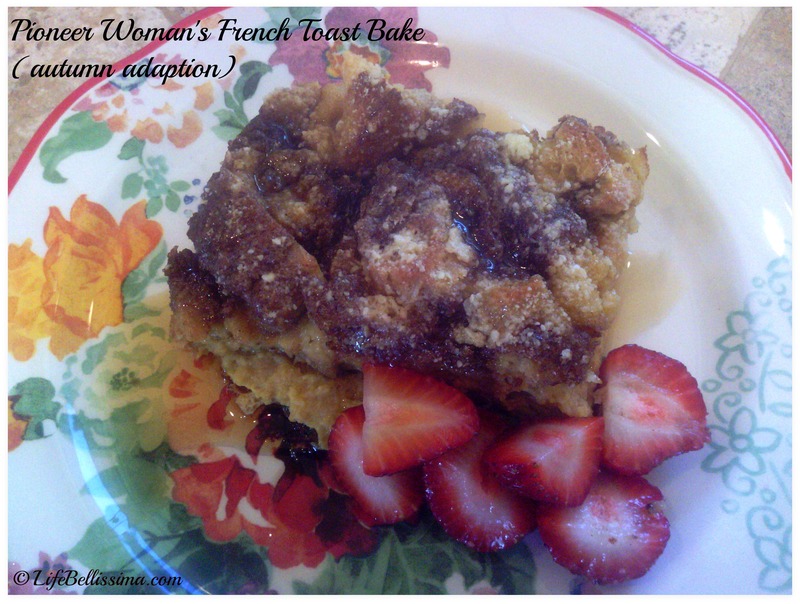 The original recipe is perfection, but with the arrival of autumn, I was inspired to bake this adaptation! This mixture smells so wonderful! Very, very vanilla! 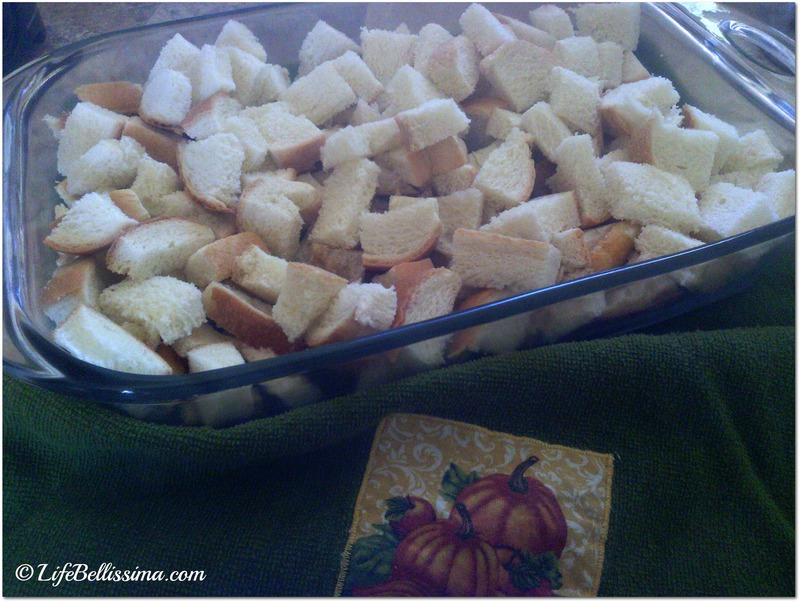 -Pour the egg mixture over the bread and set aside. 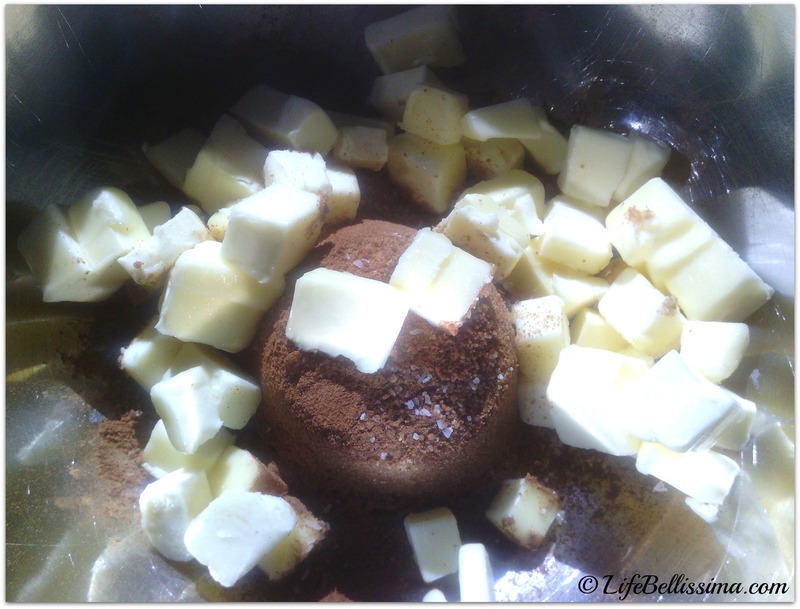 -Cut one stick of butter into small cubes, and blend into the sugar/spice mixture until small pebbles begin to form. 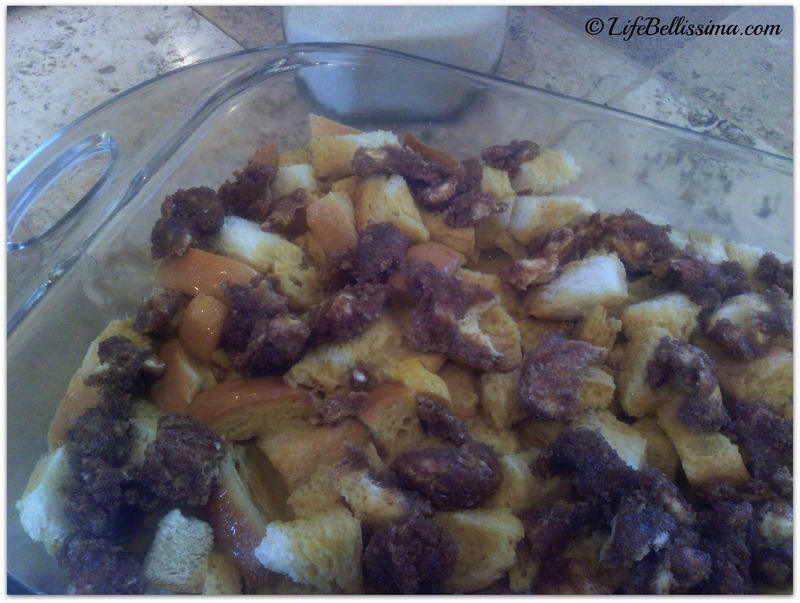 Bake at 350° for approximately 45 minutes to one hour, depending how soft or crunchy you like your French toast. I typically bake mine for 50 minutes. Enjoy the delightful aroma of autumn as it wafts through your kitchen and throughout your home — breathe it in — it’s heavenly! Thank you, Ree Drummond, for your wonderful recipes and inspiration! 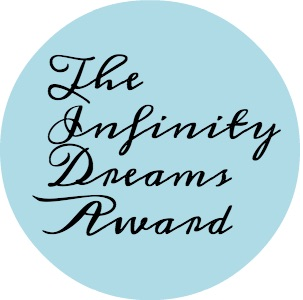 It was such an honor to be nominated by Claire of Paintbox Mum for the Infinity Dreams Award! Thank you so much, Claire! 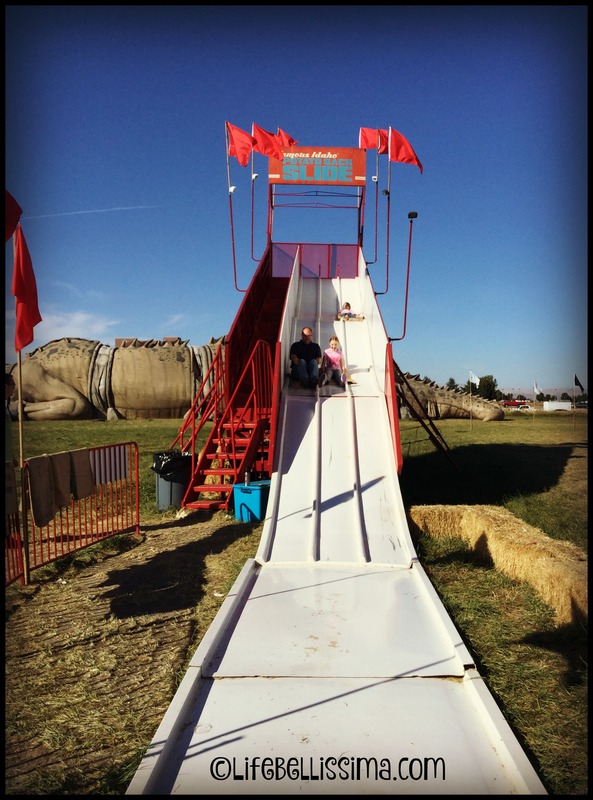 I am greatly inspired by Claire’s artistic creativity and her love for nurturing children! 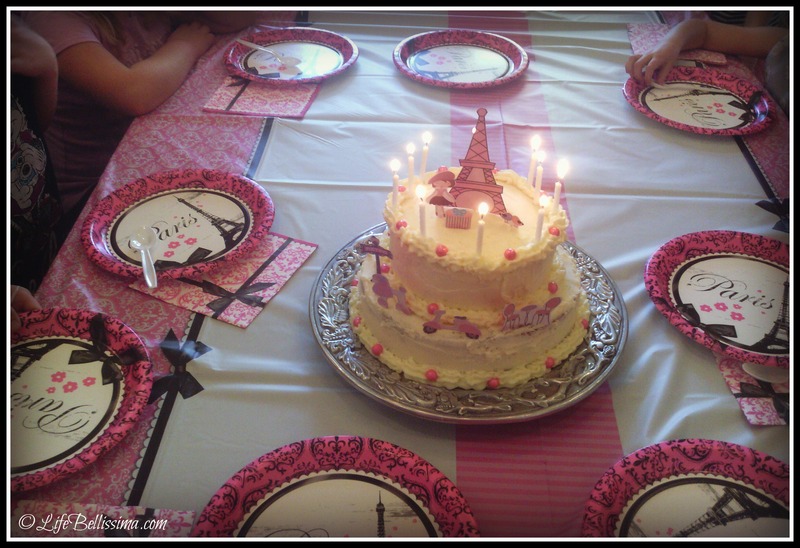 She has such a lovely variety of art and crafts, fun trips and delicious treats on her blog! 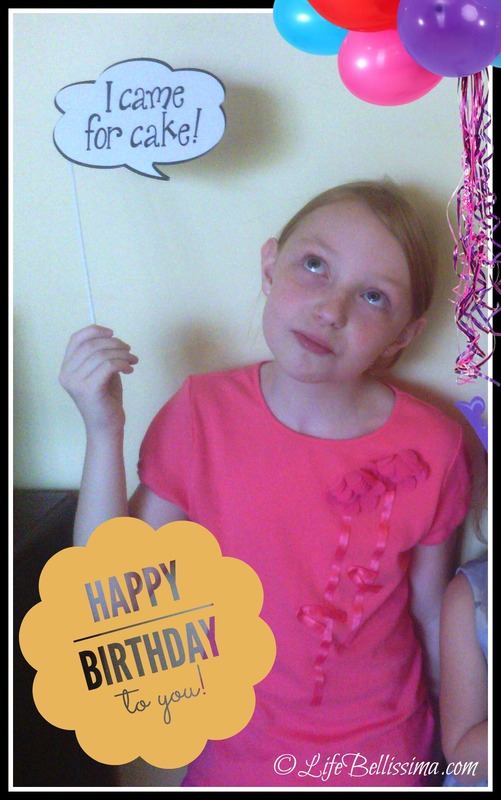 Be sure to visit Claire’s lovely blog, Paintbox Mum! I’m sure you will be equally inspired! Thank the blogger who nominated you and link back. Answer the question that were set for you to answer. 1. I am so thankful for God, my family and friends! 2. Chocolate desserts are my favorite! 3. I would love to swim with dolphins and learn how to paddle-board. 4. I’m from the city, but now live in the country. 5. I love to watch travel and cooking programs with my family. I am also fascinated with organic food documentaries. 6. I have always loved reading, writing and geography. 7. 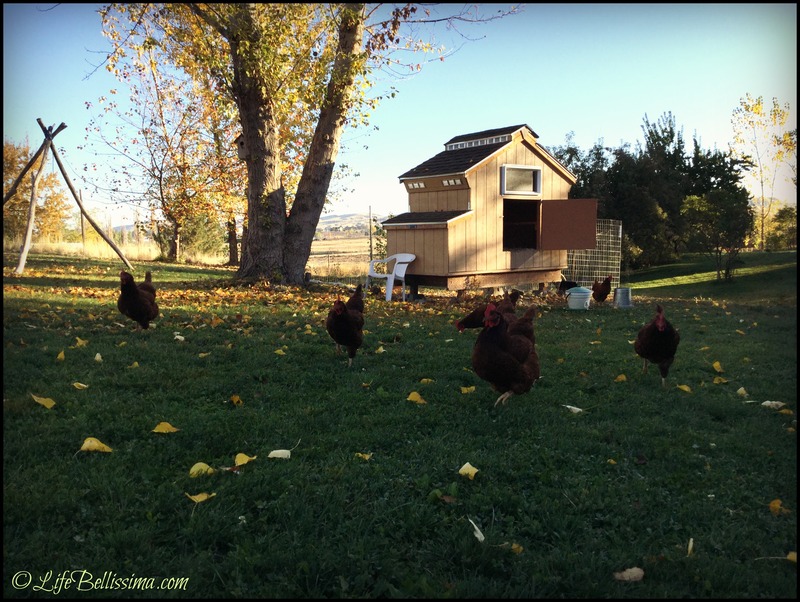 I love the sound of chirping crickets in the evening and singing birds in the morning! 8. I am the youngest of four daughters — my sisters, Mary, Susan and Sandra, are awesome! 9. I am trying to learn Italian — molto benne! 10. I enjoy going for walks along the beach, in the mountains or in the countryside. 11. I would love to write children’s books. 1.Why did you start blogging? 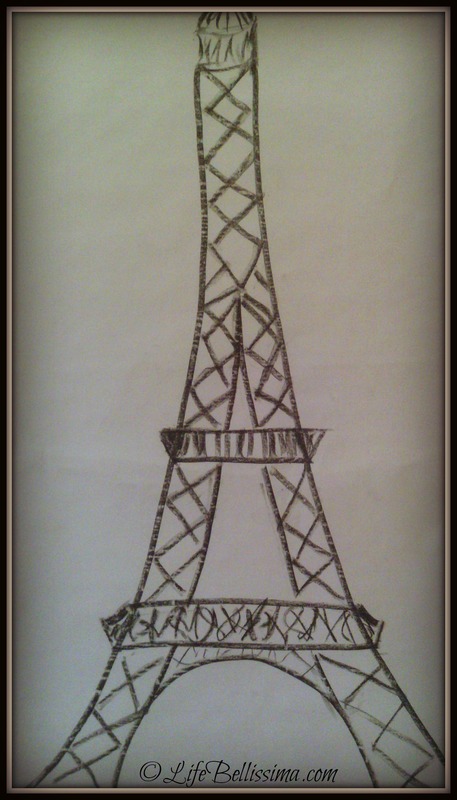 I love to write and thought it would be a wonderful opportunity to share what I love! 2.What is your favorite thing about blogging? Meeting so many wonderful people from around the world! 3.Could you share a blogging tip? Have fun and be creative! 6.Walk or drive? If the weather’s good and the destination is within walking distance, I prefer to walk. 7.What is your biggest dream? To travel with my family. 8.Where do you go to have some “me time”? Most likely a walk in the countryside. 9. What is your biggest achievement to date? For me, I appreciate the achievements of every day moments — learning how to make chocolate mousse properly (more about that in a future post), planning birthday parties for my daughters, eating healthier, teaching my children, etc. I think God gives us the ability to learn and achieve each and every day, and when we put these moments together we can see how God has truly blessed us! 10. Where do you like to holiday? Near a beach or in the mountains. Both are equally wonderful! 2. A new recipe you would like to make that you’ve never tried before? 4. A great weekend would include …? 5. Favorite meal to cook for family and friends? 6. A favorite movie or book? 7. 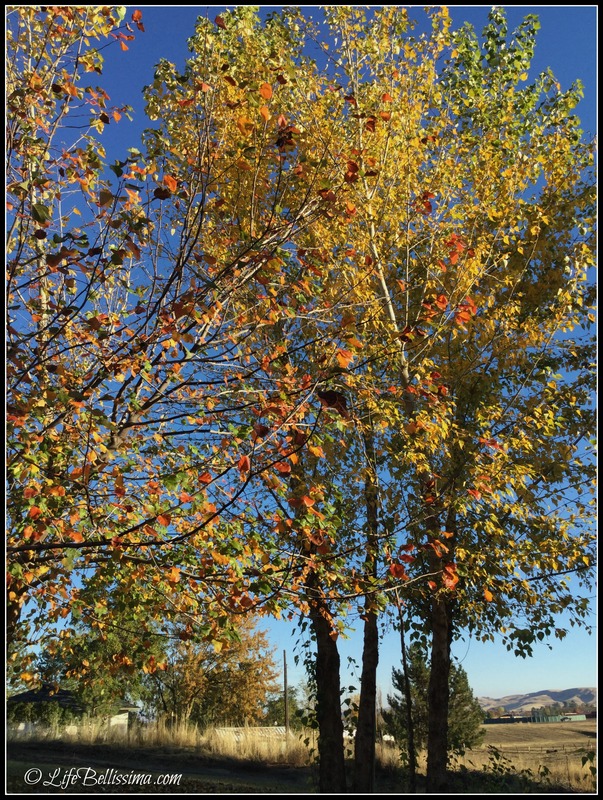 Something you enjoy about each season? 8. If you had free airline tickets, where would you travel? Published by Zonderkidz, I chose Goodnight, Manger for my second book review. From the moment I saw the cover of Goodnight, Manger, I had the feeling this was going to be a book my family and I would enjoy, and I was absolutely right! 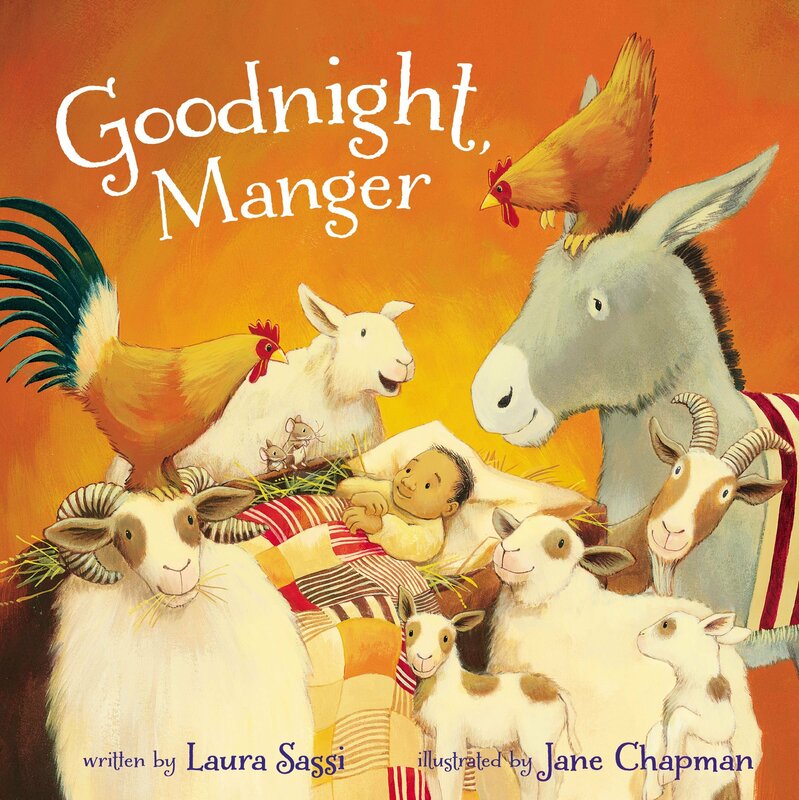 Written by Laura Sassi, this book is a delightful rendition of bedtime at the manger. I found myself smiling while reading this lovely story written in rhyme; Joseph and Mary are doing their best to help baby Jesus get a good night’s rest, but with curious animal friends, heavenly angels rejoicing and visitors coming from afar, there is too much activity for sleep! Mary lovingly brings the characters together to sing a soothing lullaby so baby Jesus can get some well-needed rest! The book is illustrated by Jane Chapman, and I consider her to be one of my favorite children’s illustrators! From a variety of endearing animals to the kind expressions of Joseph, Mary and Jesus, each page is filled with charming details, bringing this sweet story to life! The recommended age range is 4 to 8, and young readers will certainly enjoy reading along to the humorous rhymes! In my opinion, this will also become a family-favorite for all ages to enjoy! Christmas is on the way, and I think this book would make a wonderful gift!